Help your patrons pony up to the bar, and keep bartenders happy with easy sales tracking. 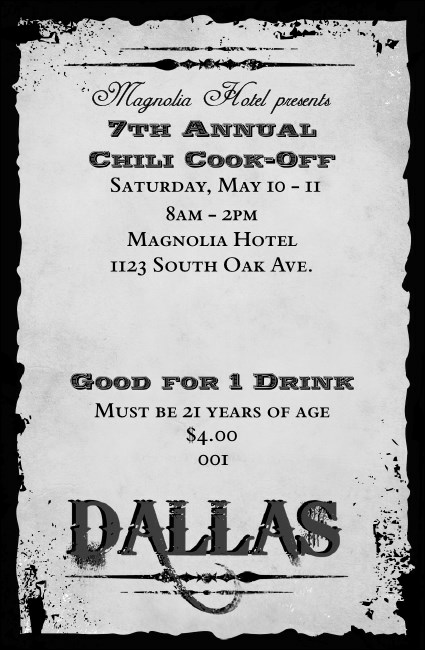 The Dallas Drink Ticket features a simple black and white design that complements the spirit of this great city. Add a shout out for your sponsor or organization by uploading any logo and round up a thirsty crowd of guests. Smooth out event planning with local Event Kits from TicketPrinting.com.